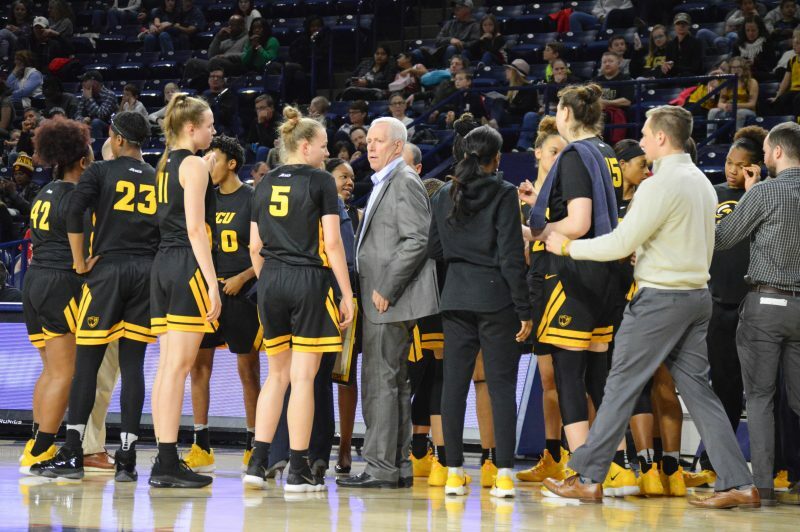 Women’s Basketball dominated the second half to beat cross-town rival Richmond 68-43 at the Robins Center Saturday. Sophomore guard Tera Reed and junior center Danielle Hammond led the Rams in points with 19 and 13, respectively. Richmond never led in the contest. The Rams started the game on an 11-0 run, holding the Spiders scoreless for nearly half of the first quarter. The first quarter ended as freshman forward Kseniya Malashka made a buzzer-beating layup giving the Rams an 18-9 lead. 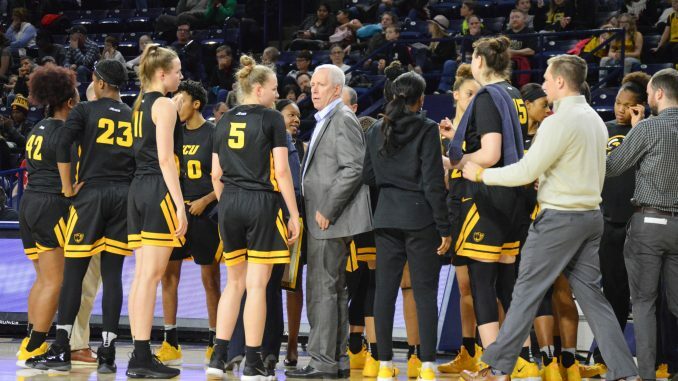 Richmond put up another 6-0 scoring run with help from Molly Mraz, cutting the score to 22-18 VCU. Aniyah Carpenter’s three-pointer late in the half brought the Spiders within two points. The Rams had 16 turnovers in the contest, allowing the Spiders to score 10 points off the errors. VCU put together a 6-0 run in the start of the third quarter highlighted by four Reed points, giving the Rams a 32-22 advantage. After some back-and-forth scoring, fouling and occasional turnovers from both teams, the Rams put up another 6-0 run. Richmond’s Jaide Hinds-Clarke halted the run with a quick layup leaving less than 30 seconds in the third quarter. VCU used its bench to score 32 of its total 68 points. VCU dominated the last quarter of the game. The Rams went on a 13-1 run for nearly four minutes of the quarter, where Nyra Williams and Malashka hit back-to-back three’s. Petrova then forced a quick turnover near the basket and quickly put the ball back up for an easy layup. Richmond could not keep up with the Rams’ fast-paced drive for the remainder of the game. The Rams travel to The Bronx, New York Jan. 16 to take on Fordham at 7 p.m.